1. 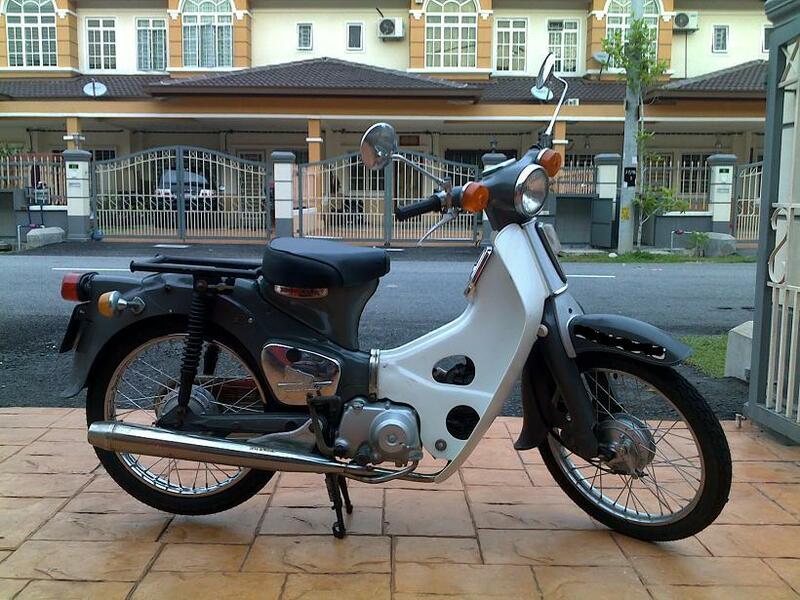 Ini lee motosikal antik aku Honda C70. Err.. antik ker? 2. Lampu bulat.. seat 1 jee.. bini aku nak bonceng pon tak boleh hehe..
3. Nanti ada bajet boleh laa full modified. This entry was posted on May 8, 2010 at 6:24 am and is filed under Antik. You can follow any responses to this entry through the RSS 2.0 feed. You can leave a response, or trackback from your own site.